Did you know that there is a difference between a coffin, which has six sides, and a casket, which has four, or that casket sales are down, according to The Wall Street Journal? (“Casket Makers Dig In as Sales Take Hit,” WSJ.com, 2/24/10.) The Journal piece also points out that while sales hit a high of 1.9 million in 2000, they were down to 1.69 million for the year ending September 2009. Both the shaky economy and the increasing popularity of cremation are to blame. The article quotes John Ross, executive director of the Cremation Association of America, as saying that funerals cost an average of $7,400, while cremation comes in around $1,400. You can be cremated for 20% of what it costs to be buried. Still, there are careers to be made in both the casket and the coffin business. “Batesville Casket Company’s career paths are excellent, because at Batesville Casket you have the opportunity to truly create your own path,” says the company’s site. And we know where that path is leading—six feet under no doubt. Northern Casket offers oak, cherry, pine and enviro-caskets, but also offers rentals for those who want them. What does it mean to rent a casket? Is this for those people who don’t want to pay $7,400 for a funeral or who don’t have enough money in these tough times for a plot? In England that’s called a “council burial,” and the Times ran an obit several days ago about a famous British agent who died anonymously and in penury and was to be given a council burial until her medals were discovered in her apartment (“Eileen Nearne, Wartime Spy, Dies at 89,” NYT, 9/21/10). What if Avis and Hertz get into the casket rental business and blow Northern right off the map? Instead of landing at MSP or LGA and going to Hertz to get a car, terminally ill patients will rush to the Hertz counter to rent a midsize coffin or casket. They’ll probably think something like this: What a great idea. I can rent a casket with all the fixin's, and then when my funeral is over, get cremated for 20% of the price. Hamlet’s gravediggers will have to eat their own words. 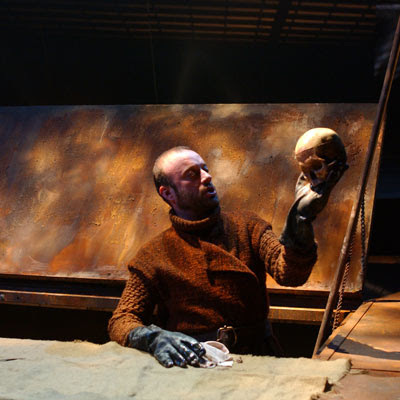 “Alas, poor Yorick” will no longer apply when there are no more skulls to be unearthed. The difference between caskets and coffins has to do with the elimination of grave robbing as viable economic endeavor. During the infancy of medicine fresh bodies were in constant demand for anatomical dissection. Since religious precepts at that time prevented leaving one’s corpse for science, the freshly dead were used. The most common method of grave robbing was to dig up the area at the head of the grave, break open the casket from the top and with the use of hooks, grab the body at the shoulders and yank it out of the grave. As a method to dissuade grave robbing by making it more difficult and time consuming, the coffin with its six sides came into demand. The tapering of the head area prevented grave robbers from using their preferred method of body removal. It therefore made the grave robber dig up the entire grave. A much more time consuming endeavor and exposing them to more risk of getting caught. Your etiology with respect to the advent of coffins is brilliand wonderful and demands a soliloquy in and of itself, "what a piece of work is man, how inventive to have come up witht the idea of a coffin as a way of preventing the extraction of bodies." I hear Thomas Lynch is great on these matters and I'm looking forward to reading him too. I am in a real quandary however with respect to these questions and the problem is this. While I object to the swindle of the funeral business, it does present certain appurtenances for survivors, and certain comforts for them. Those for instance who like to visit their love ones are deprived of something if the loved one is not owner of a plot. I agree with your point about being deprived of the experience of visiting the dead, the pilgrimage to a loved ones grave can be cathartic. But over time, when the period of self imposed mourning gradually fades away very few of us make the pilgrimage to where our ancestors lay. Maybe those that are pious make the visit on holidays, anniversaries, etc., but after a period of time the family plot turns fallow, at least in our minds. As for the funeral business, it is capitalism at its worst. The experience of purchasing a casket, of coffin if you fear that you loved one will scooped out of the ground for some depraved experimentation, is analogous to no other purchase I can recall. The bereaved is escorted to a showroom, once there he/she makes the pronouncement, “my mother/father/sister/brother made it clear to me that they desired a plain casket. When shown the “plain” casket, usually tucked away in the corner, the bereaved turns to whomever they are with and say, “I cant bury him/her in that, what will my relatives say?” Then the funeral director, a great title for the deathcare salesman, starts his pitch about this model over there, with the faux brass handles, great lining, satin pillow, etc. And you know what, they get you every time. I unfortuntely had the occasion to go through exactly what you describe only a few weeks ago. I'd had some previous experience making funeral arrangements (which I actually put on my CV),but for some reason I had never been led into the coffin showroom which was in the basement of the funeral parlor that was being used. It reminded me a little of going to an automobile showroom and the coffins looked like those racing cars in Back to the Future. Yes, the funeral business epitomizes capitalism where literally everything including ideas become commodities. From a real estate point of view cemetery plots are small ventures, much like garage space, which benefit the developer since he sells them on a per unit and not square foot basis. It's definitely more profitable to be the owner of a cemetery than to be buried in one.